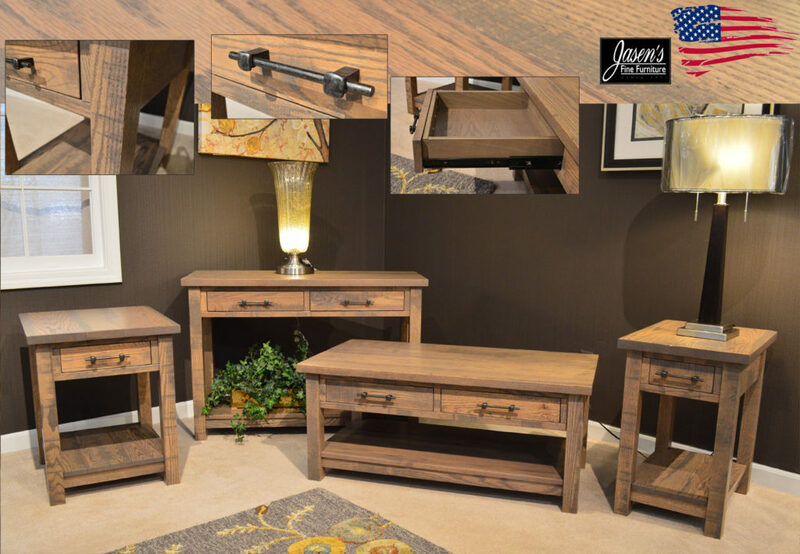 Amish Rustic Tables feature solid Oak construction throughout, full extension glide drawers, rustic mill marks, rustic Swedish iron hardware, and new weather-wood like stain. Tables can be made in any wood specie, stain, hardware, and size you like. Made in USA!